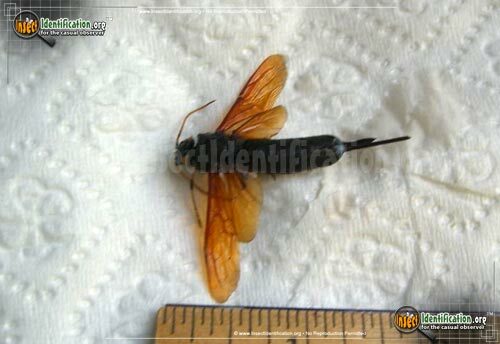 Detailing the physical features, habits, territorial reach and other identifying qualities of the Horntail Wasp. 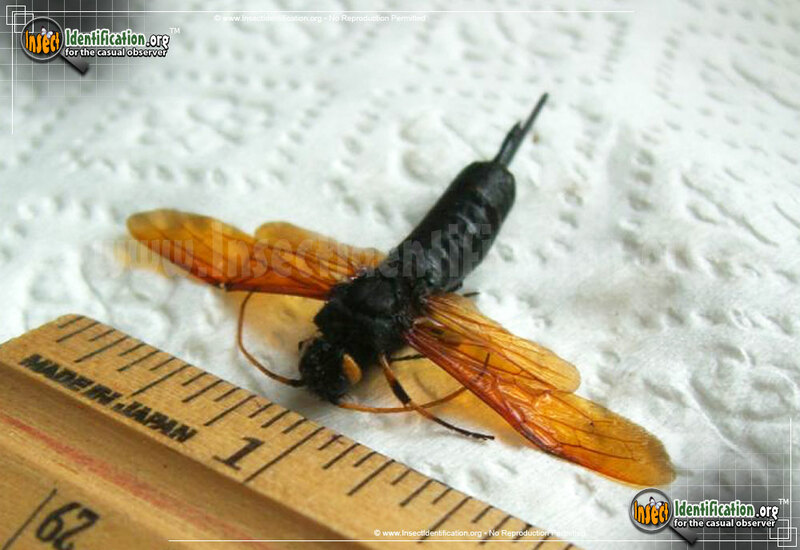 Horntail Wasps may look like they can deliver a wicked sting, but that stout syringe is actually for laying eggs. Despite the warning colors, Horntail wasps are generally non-aggressive and (one source says) harmless. Adults drink nectar and water. Both genders of Horntail Wasp species have short spines at the tip of their abdomen, but females appear to have two menacing stingers. The thicker, longer one is actually an ovipositor. The ovipositor is a tube used by the female to directly inject eggs into tree trunks and other durable wood where they are less likely to be found and eaten by other insects. That sturdy spine aids in splitting the wood before the eggs are laid, placing them deeper into the protective tree trunk. Larvae hatch inside the wood and then tunnel through it, emerging as adults. Despite the female's efforts to use deep wood to protect her Horntail larvae, they get eaten by the larvae of other tree-savvy parasitic wasps that have also hatched in the same tree. 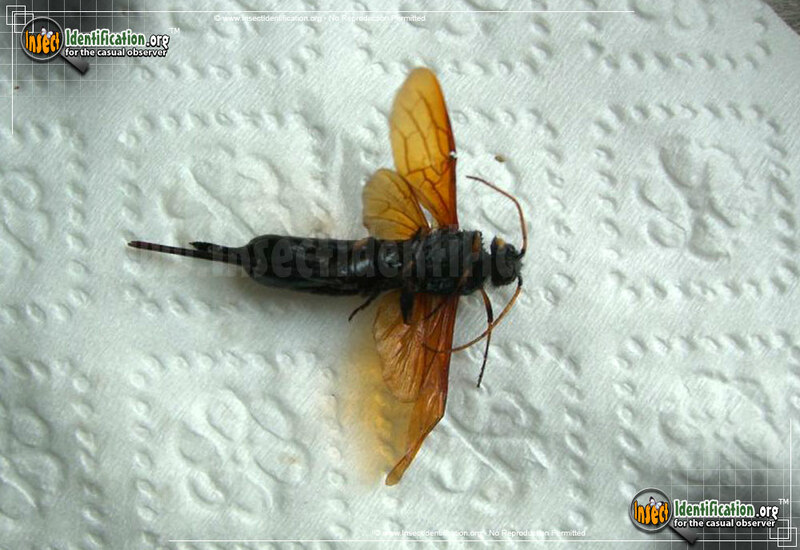 Those Horntail Wasps that survive will emerge from the tree in their adult form. If the tree gets harvested and used for building material before then, it is not unusual to see these adults inside homes or buildings when they finally come out of the wood.